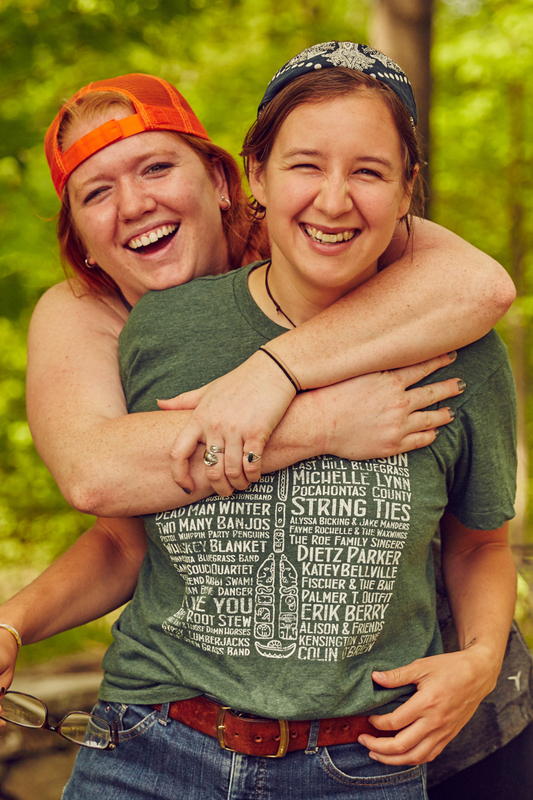 From May 24-30th, LoveYourBrain held the 3rd annual LYB Retreat in partnership with our amazing friends at Zeno Mountain Farm. 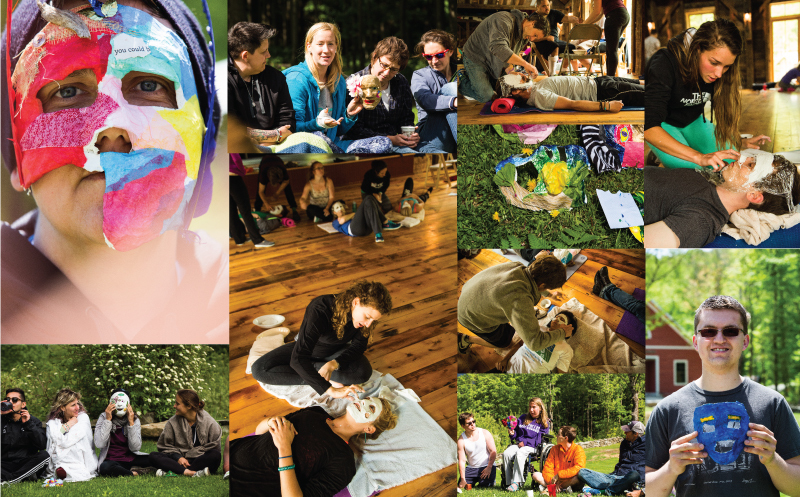 Our group consisted of fifty people, including individuals with brain injury, siblings, health care providers and the LYB/Zeno family, making it our largest retreat yet. 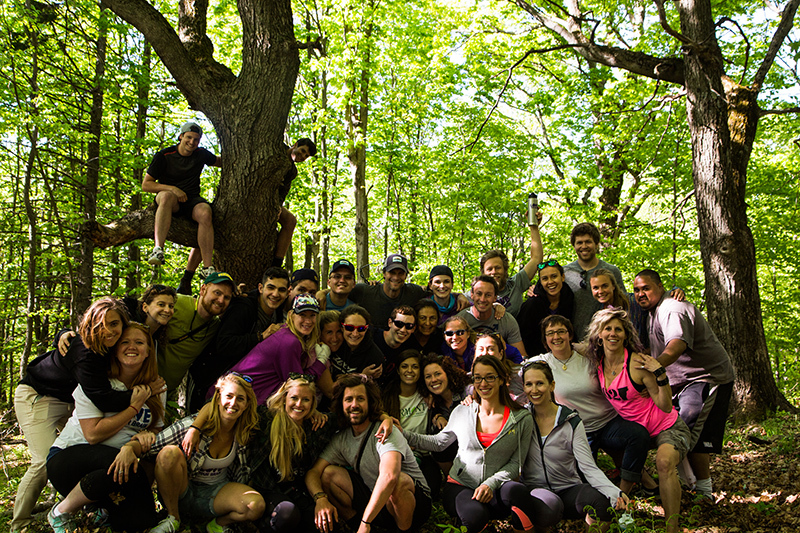 This special week of reunions and new friendships highlighted the value of community and provided an opportunity for the group to experience a unique and integrative approach to brain health. Each day began with a gentle yoga practice with an emphasis on meditation and mindfulness. 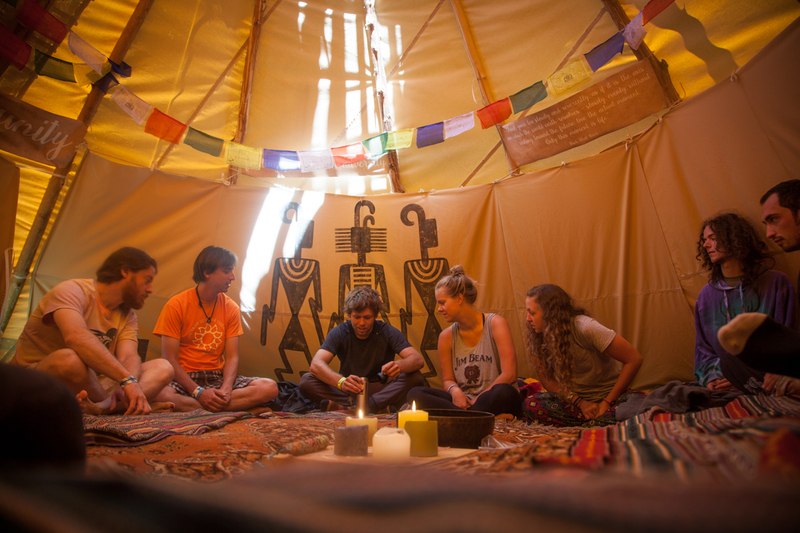 Throughout the days, the group participated in a variety of workshops focused on therapy techniques, self reflection and different methods of sharing personal experiences. 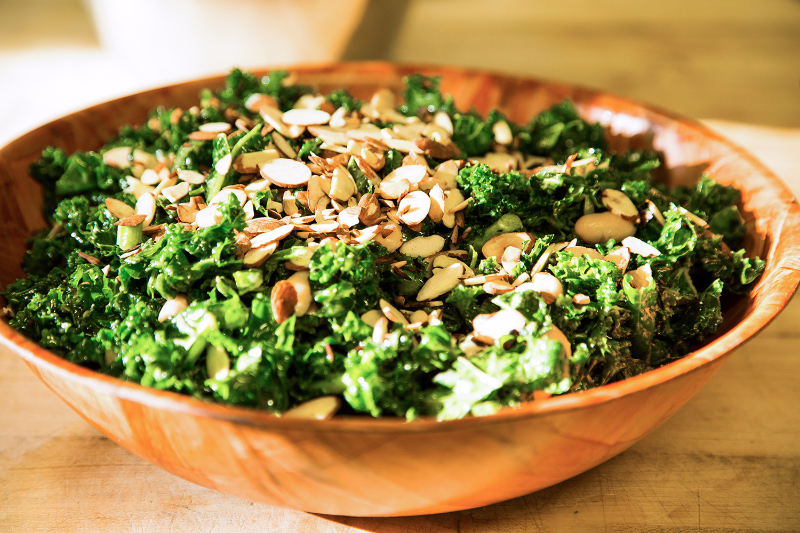 All meals were prepared with brain-healthy ingredients and shared family-style. 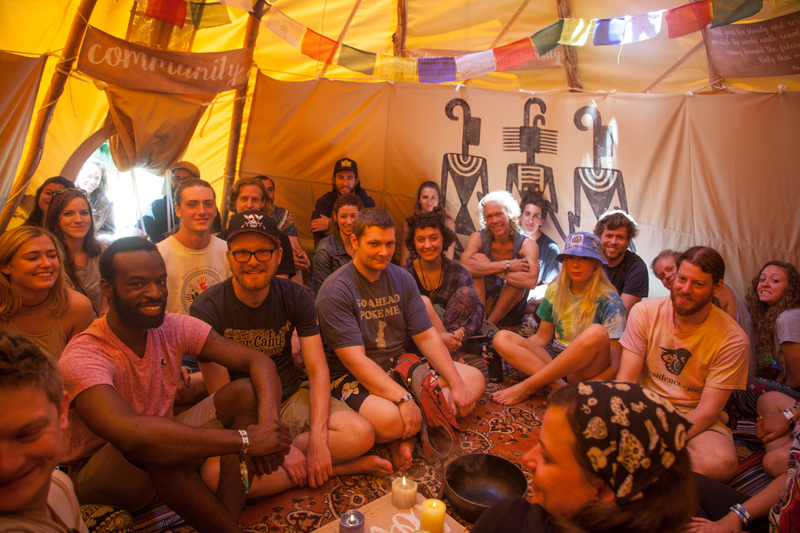 This year’s schedule included several new elements, including a music therapist who guided a songwriting project and led a powerful drumming circle. We hosted a Neuropsychologist and bodywork practitioners for massage therapy and reiki healing. 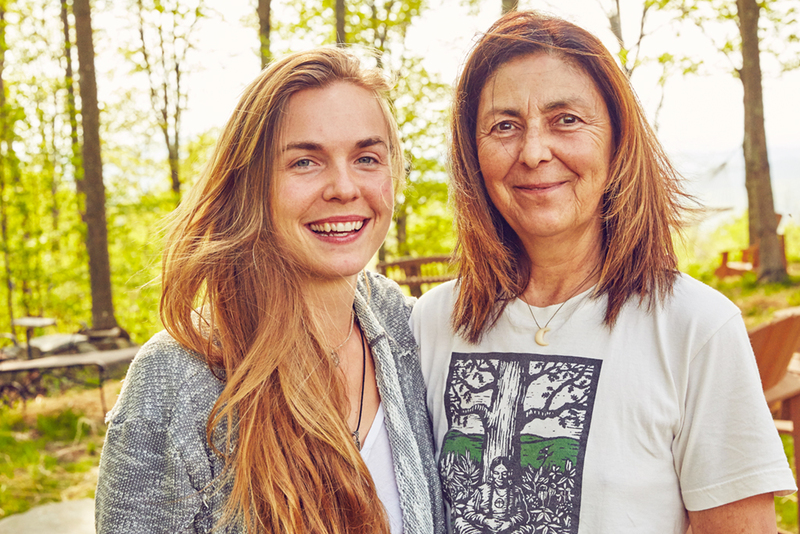 Finally, two of our retreat participants offered an herbalism workshop, including an introduction to the healing power of herbs, a plant meditation, and a mindful eating exercise. We ended the week with two days of marathon festivities. On Saturday, seven of the retreat participants completed a 1-mile walking course on the Burlington Waterfront. 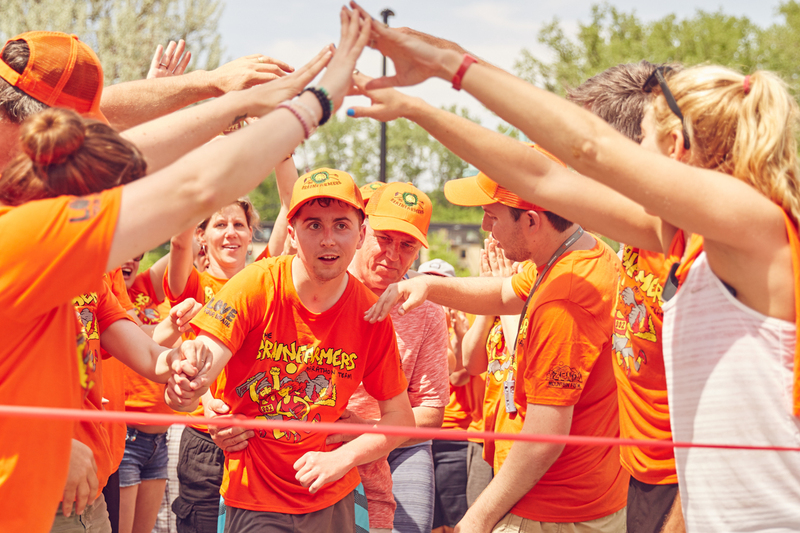 These inspiring racers crossed this finish line to applause and cheers from their retreat family. On Sunday, the group braved the heat to participate in the Vermont City Marathon. 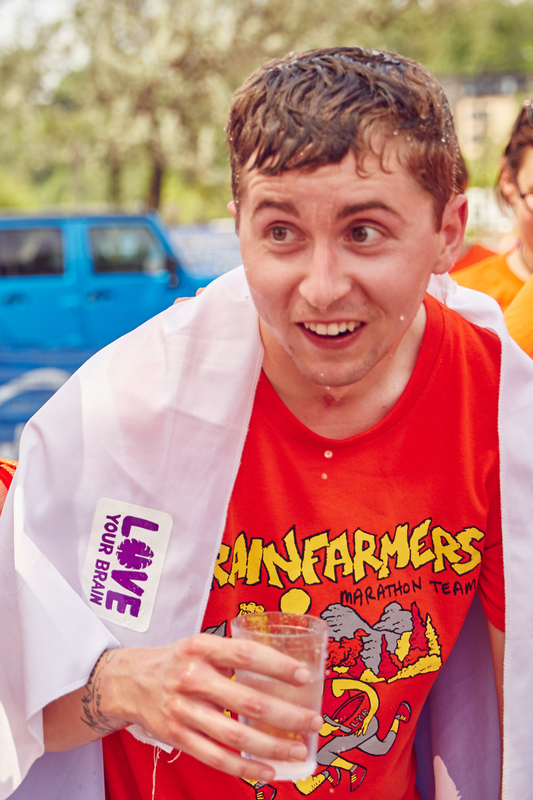 Thank you to the 85 runners who ran on “Team Brainfarmers” and to over 700 donors who supported the team to raise money for LoveYourBrain and Zeno Mountain Farm! “We cry with joy when we arrive and reunite, we cry with happiness and sadness when we depart; albeit stronger and closer. A big thank you to Audrey Rudolf for the amazing photos! Thank you to our amazing sponsors for making it possible! It's that time of year when the weather is getting chillier and we are reminded of the holiday spirit of giving. 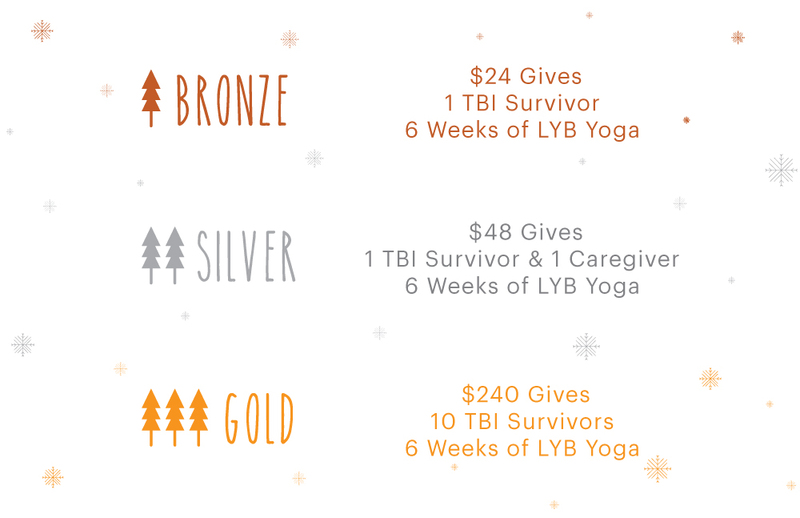 At LoveYourBrain, we are giving the gift of yoga to the TBI community, with the #GiveYoga campaign. To learn more about our program, visit our website. Our goal is to raise enough money to provide 500 survivors and caregivers with the opportunity to improve and restore their physical and emotional wellbeing through yoga and meditation. Please consider giving the gift of yoga this holiday season. 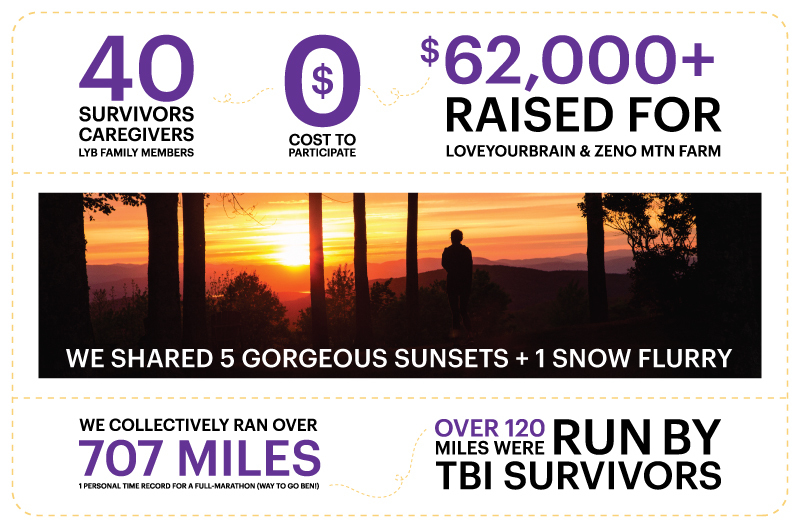 A contribution of any size will make a meaningful difference in the lives of TBI survivors. Giving Tuesday is the global day of giving back. Observed on the Tuesday following Thanksgiving (in the U.S.), since it’s inception Giving Tuesday has become a movement that celebrates and supports giving and philanthropy in the holiday season and throughout the year. It harnesses the potential of social media and the generosity of people around the world to bring real change to communities. 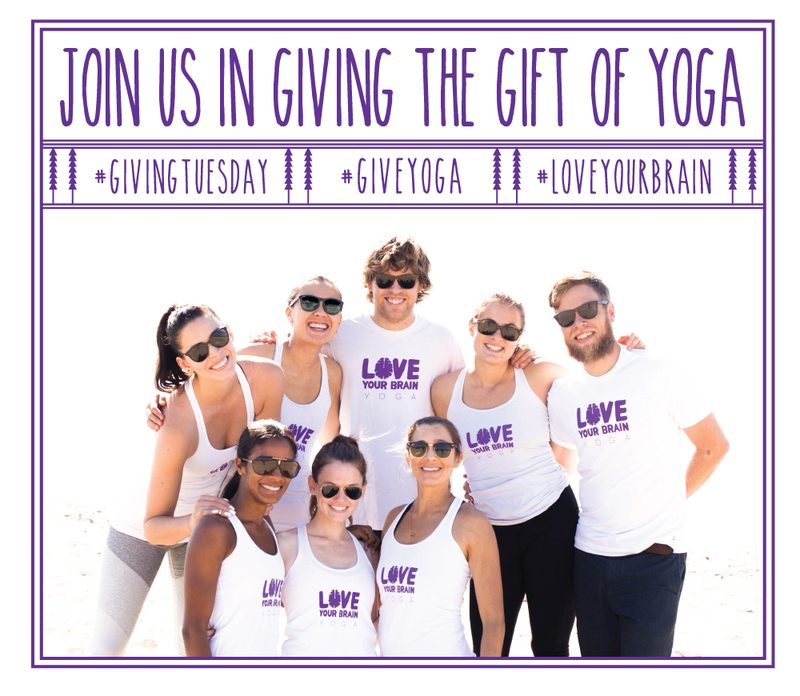 Please consider joining LoveYourBrain on Giving Tuesday, December 1st, by giving the gift of yoga. 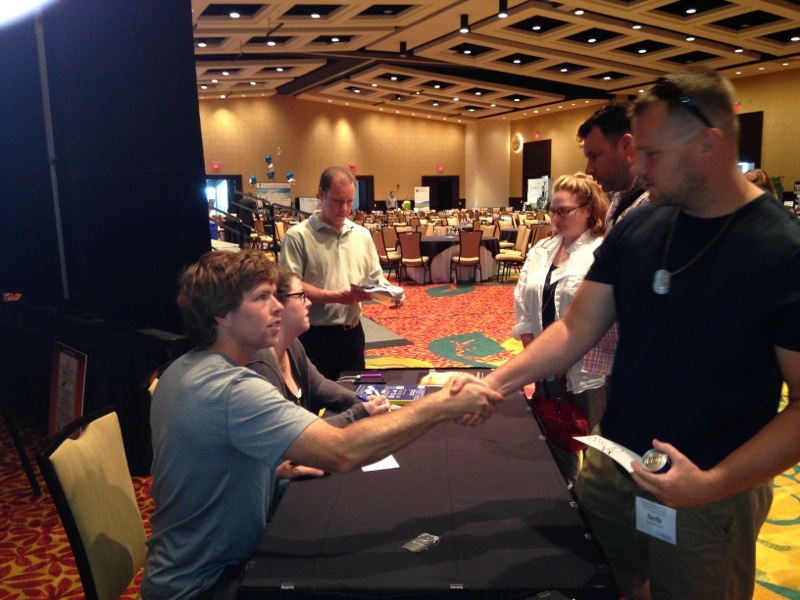 Inspiring greater peace, acceptance, and happiness for people affected by brain injury is a big part of what we do. We’ve learned that meditation is one powerful way to help transform chaos into inner calm and frustration into joy. 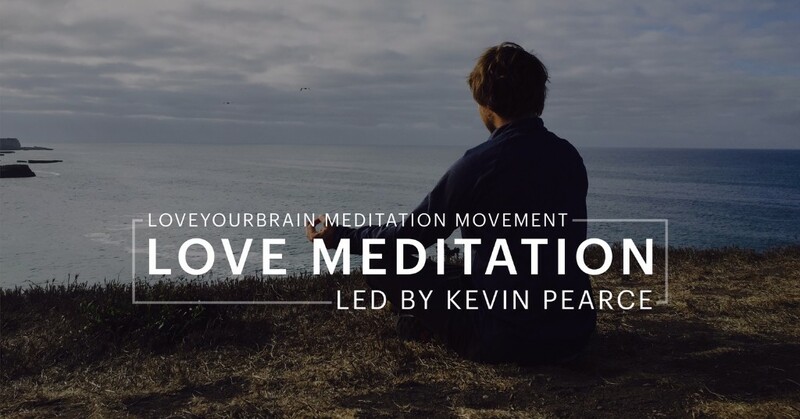 We are excited to announce the LoveYourBrain Meditation Movement, launching this Friday. 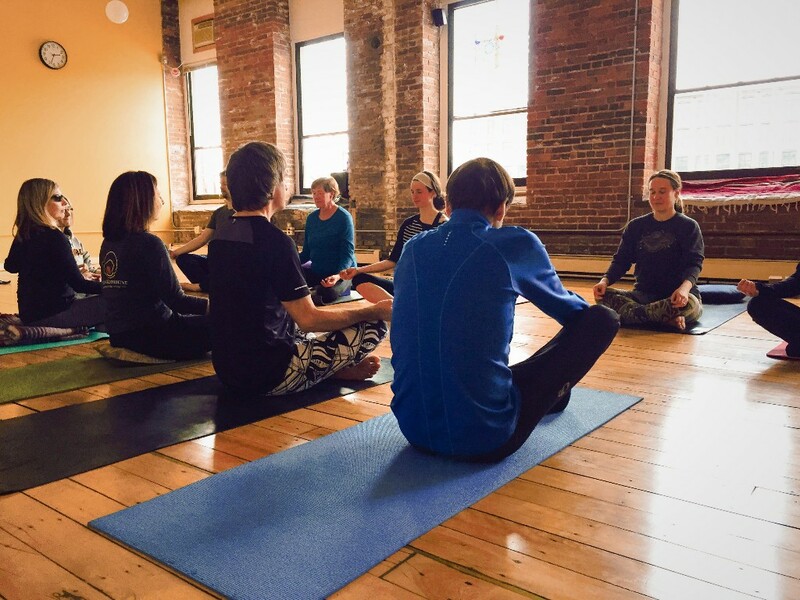 In collaboration with brain injury survivors, yogis, and meditation teachers, we will be sharing a new meditation practice twice a month, giving us all a chance to pause and reconnect. Nutrition is key to living a brain healthy lifestyle. 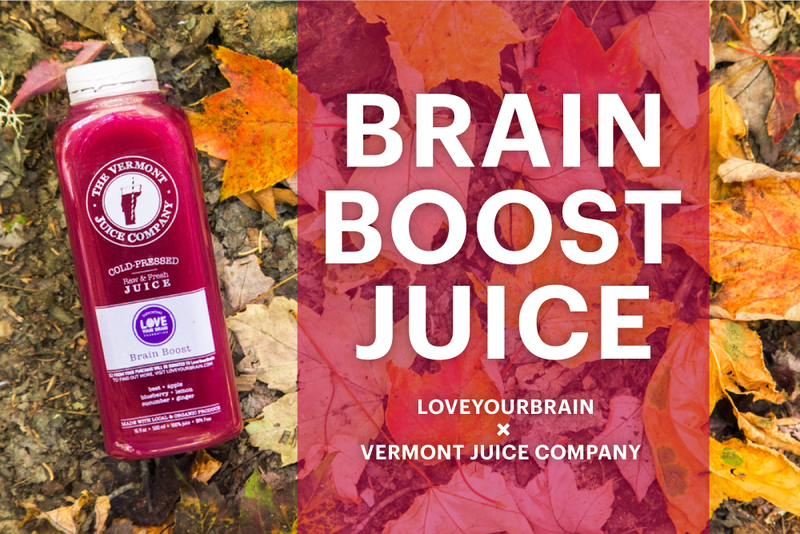 The Vermont Juice Company has created a signature juice called Brain Boost, loaded with brain-benefiting nutrients. Led by blueberries and beets, each ingredient has its own way of giving positive nutrients to the brain, promoting good blood and oxygen flow, fighting off inflammation and memory loss, protecting cells, and many more fantastic benefits! 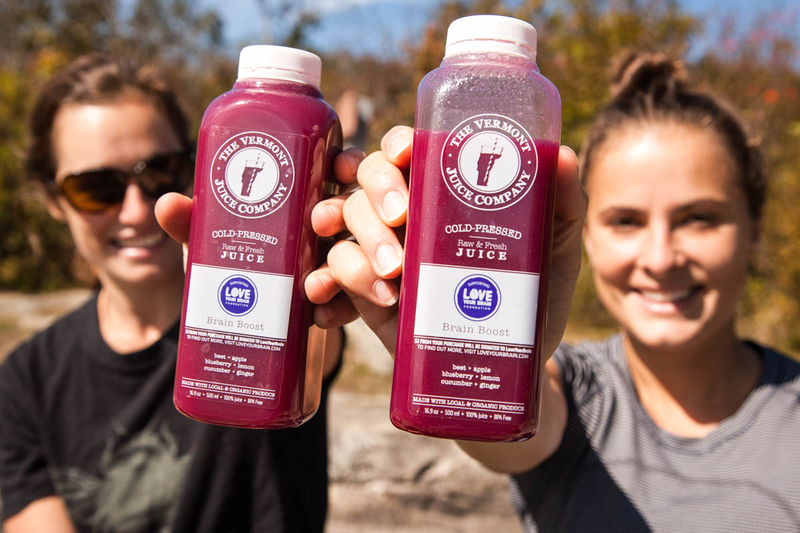 Vermont Juice Company will donate $2 from each juice sold to LoveYourBrain. Congratulations to Dan Alin Ursu, our art contest winner! Thank you to BlankYouVeryMuch for designing this art contest around our cause! 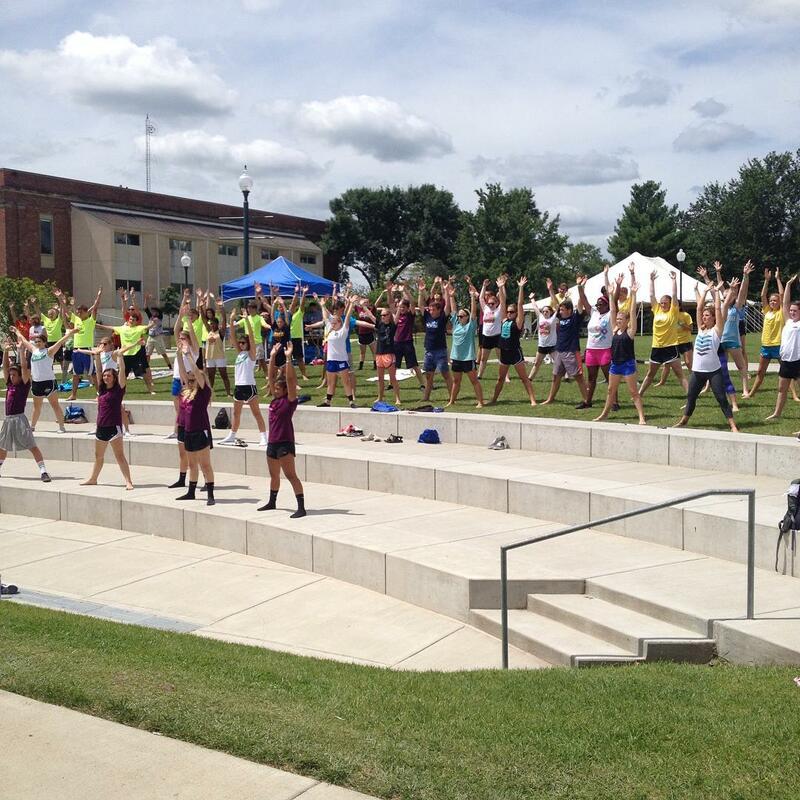 We kicked off the weekend by inviting the Burlington community to practice yoga together. Kevin led a moving meditation about how love originates from within--a message that reflects the spirit of LYB and is key to any healing process. 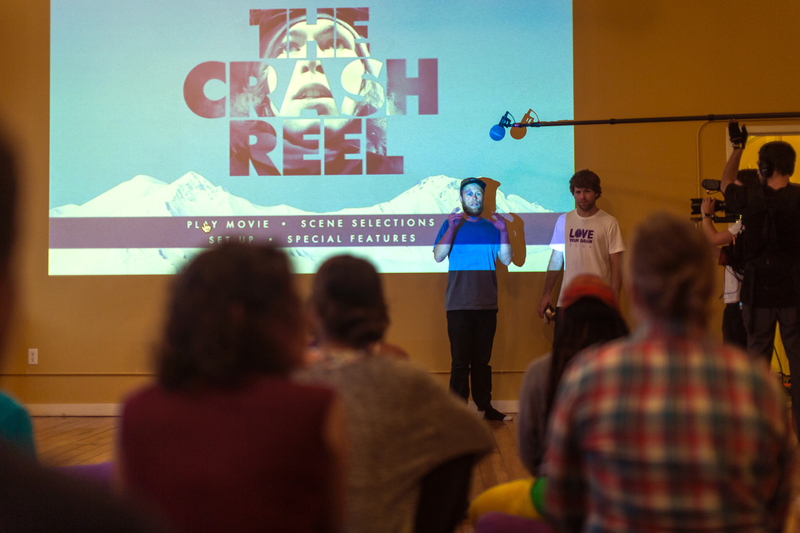 Following the class, we held a screening of The Crash Reel bringing together traumatic brain injury (TBI) survivors, friends, healthcare professionals, and yoga teachers to share how we integrate mindfulness, movement and connection into our programs. 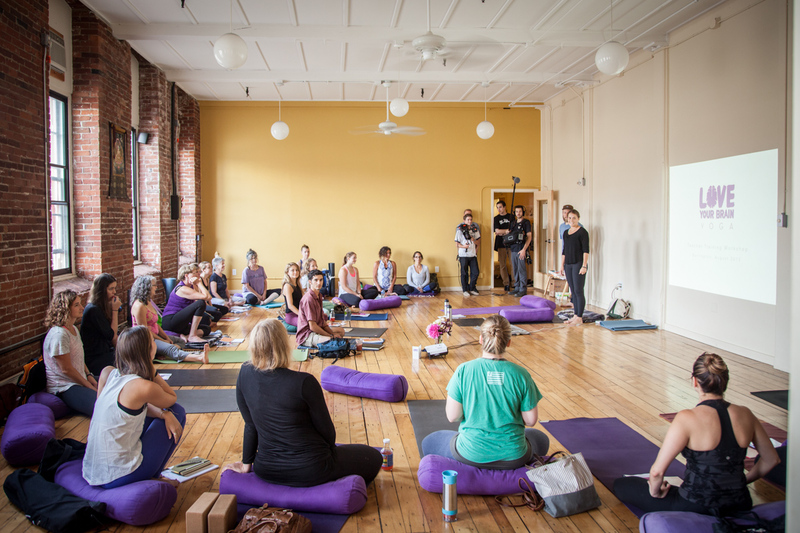 On Saturday, we hosted a four-hour LYB Teacher Training Workshop designed to equip teachers with the skills, knowledge, and confidence to tailor their yoga and meditation classes for the TBI population. 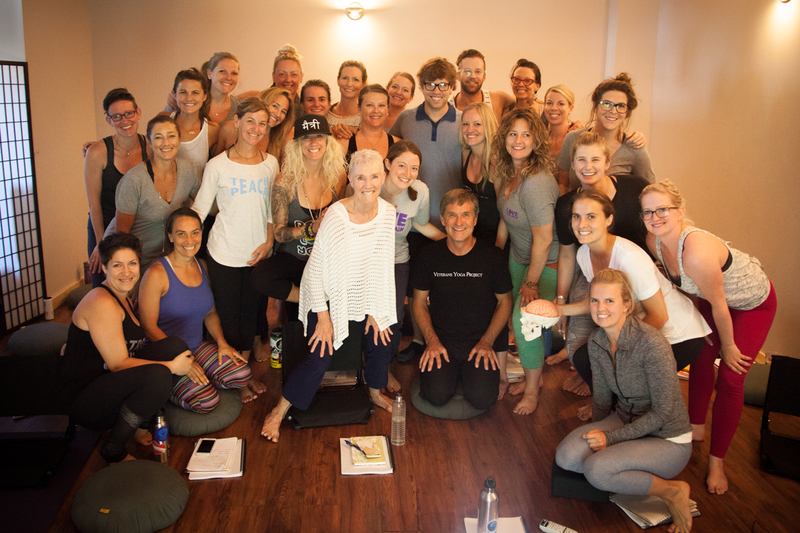 We were thrilled to have 28 yoga teachers - some traveling from as far as Denver - join us to expand their knowledge about and compassion for TBI. 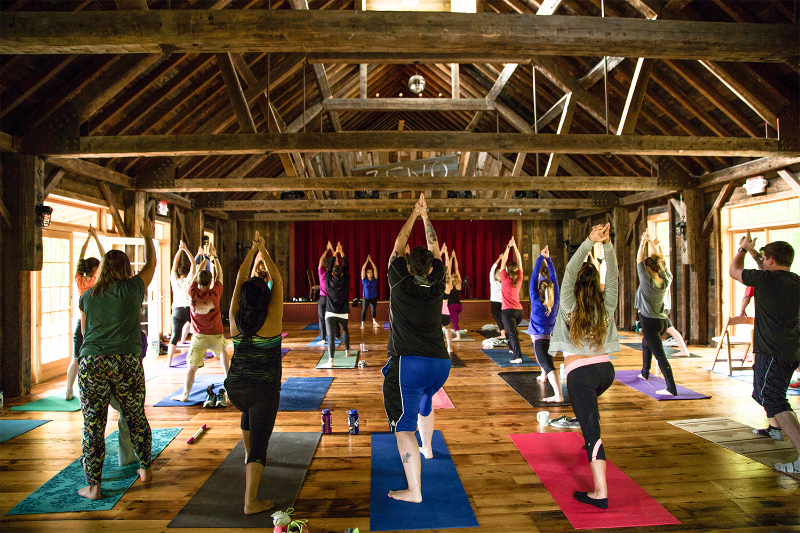 Our goal is to provide all TBI survivors with an opportunity to improve and restore their physical and emotional wellbeing through yoga and meditation while building community. 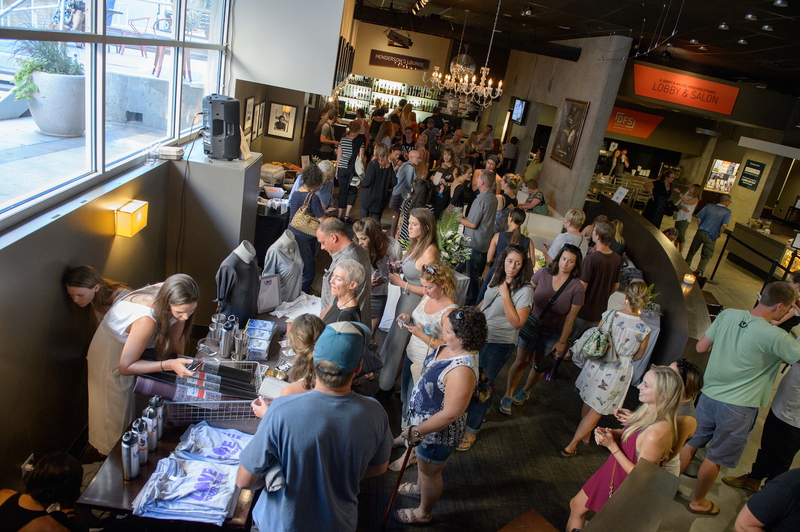 Special thank you to our in-kind donors: Laughing River Yoga, Sukha Yoga, VT Juice Company, Homer Horowitz, Peter Vitt, lululemon athletica and Pingala Cafe & Eatery. Classes will be offered at Laughing River Yoga and Sangha Studio in Burlington, Vermont. Keep an eye on our website for details about how to sign up. 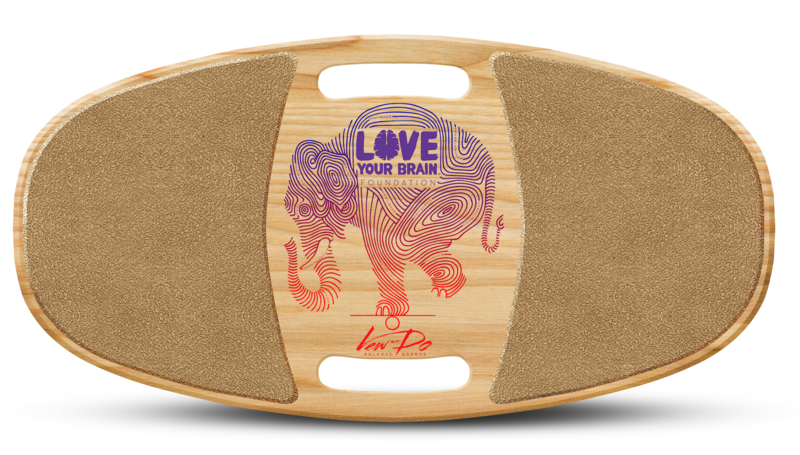 Your artwork could be showcased on the new LoveYourBrain x Vew-Do Balance board! 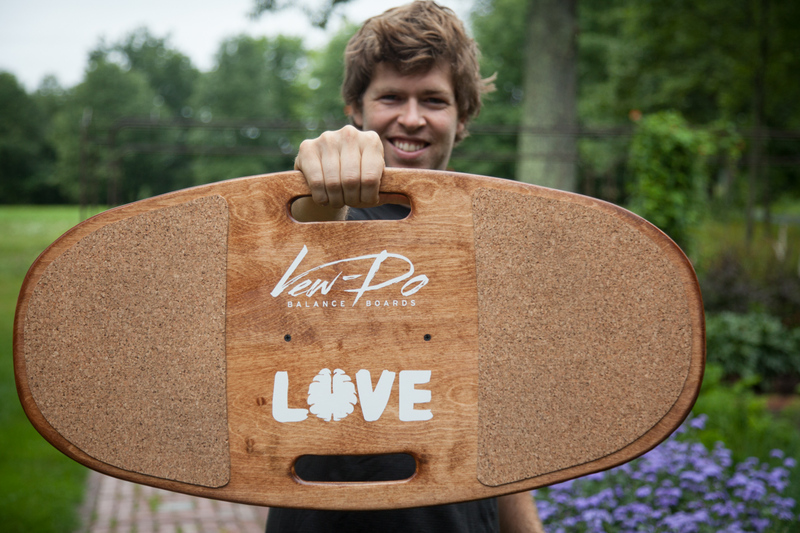 LoveYourBrain and Vew-Do Balance Boards are inviting the brain injury community--survivors, friends, and family--to help design the artwork on the all-new LoveYourBrain balance board. The art contest aims to showcase how people affected by brain injury find balance, both physically and emotionally. To see all the details, head over to Blank You Very Much! I truly believe that no matter who you are, where you are in your life, or what you are doing, yoga and meditation practice will help improve your quality of life. My recovery process has been so hard. At times it is painfully slow and unbelievably tiring. But experiences like the one I had last month, talking to 900 teenagers about the power of yoga and the importance of mindfulness, make all that I’m doing and working towards feel so worth it. I had been asked to go to Iowa to speak at the annual SPECTACULAR sports and leadership camp, and after a long day of travel, I finally made it to Des Moines for the first time in my life. 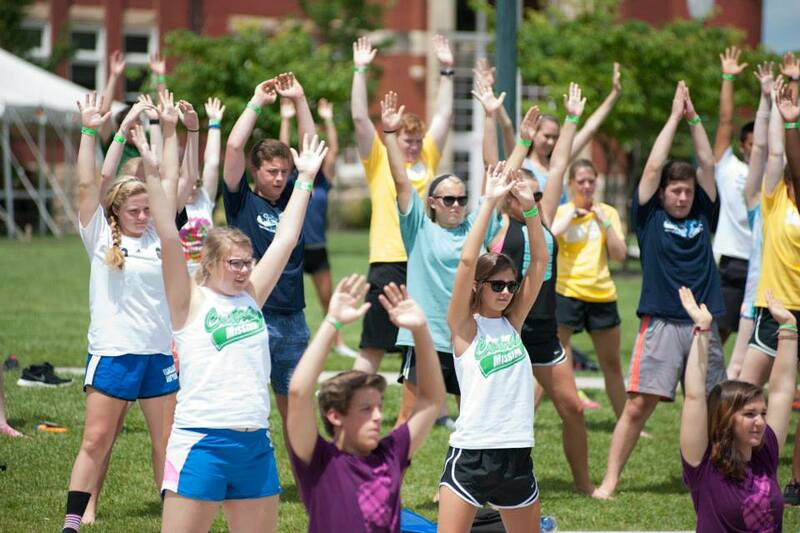 We headed to Graceland University, the host of the camp, where the campers were in the midst of watching The Crash Reel. When the movie ended, the camp director, Jamie, shared with the kids why he thought The Crash Reel was such a great fit to show at camp. He also talked about how cool it would be to have me come to the camp to talk more in depth about my experience and what my journey and recovery has been like—but, he didn’t tell the kids that I was actually right there listening the whole time! This is when it got totally nuts. I was in the back room waiting, and Jamie said, "I thought it might be cool to bring Kevin in to talk to you guys." This was my cue, and I walked out into the gym and all 900 kids lost it. And when I say lost it, I mean they went absolutely crazy! It was one of the most amazing feelings I have ever felt in my life. For about four minutes—which felt like four hours to me—the kids were on their feet going wild. When they finally calmed down, I got to share all the pieces of my experience that were not in the movie, including where I’m at in my recovery process now, and what LoveYourBrain has been doing for TBI survivors around the world. The theme of the camp was "Let Go," so it felt like the perfect space to share my experience: how incredibly hard letting go of certain dreams has been, but also how much I have learned and how rewarding it has been to create new dreams and opportunities. One of the most memorable parts of my experience at SPEC was talking about how yoga and meditation has changed my life and ultimately changed my brain. For me, yoga and meditation give me a chance to slow down, cultivate self‐awareness and acceptance, and find a more positive outlook on life‐‐essentially, to Love My Brain even when dealing with the many challenges I face. 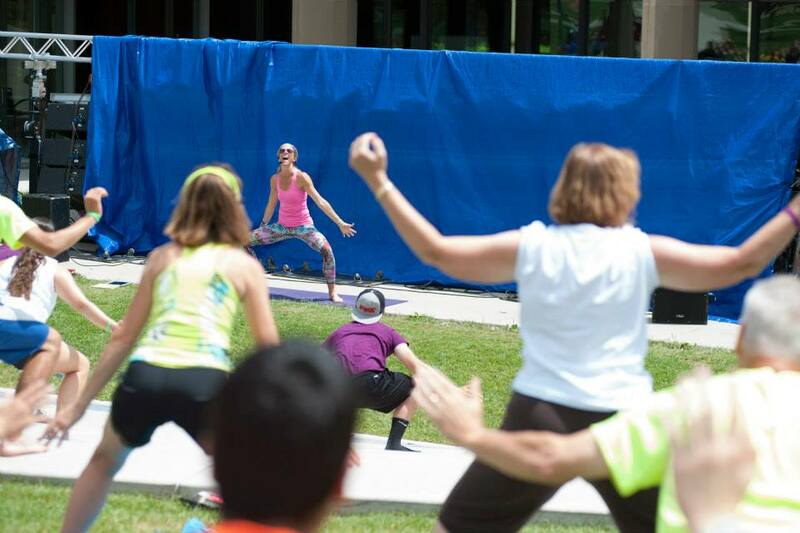 Coincidentally, they were holding a yoga class every morning at camp, and the day after my talk, the class doubled in size and had to be relocated to the amphitheater outside to accommodate all the new yogis! 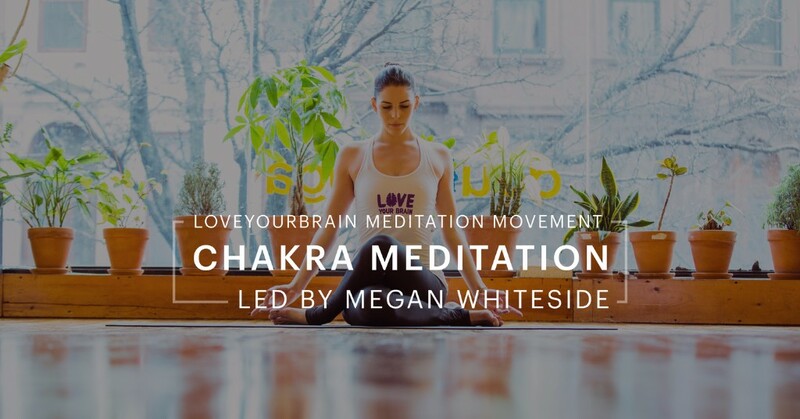 The LoveYourBrain Foundation is launching a nationwide gentle yoga and meditation program for traumatic brain injury survivors­­from concussions to severe brain injury. 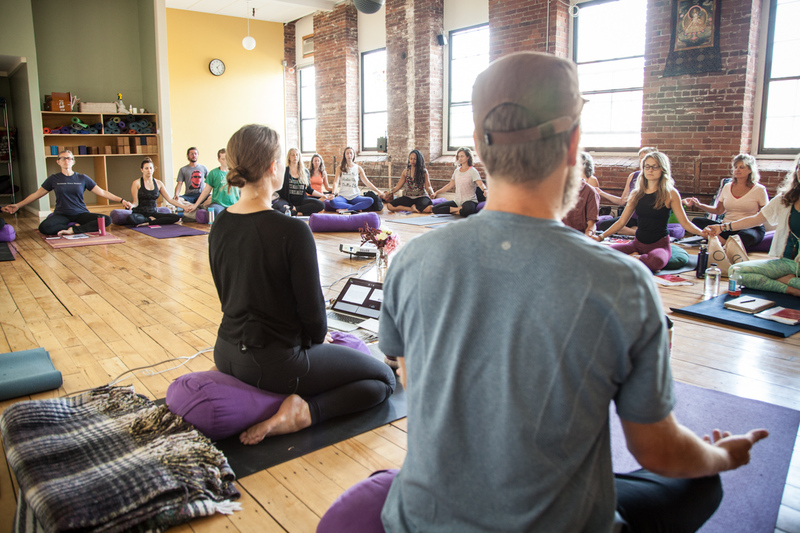 We are hosting yoga teacher training workshops to equip teachers with the skills, knowledge, and confidence to tailor their yoga and meditation classes for this population, starting in Burlington, Vermont on August 28th­- 29th. Help support the program here. 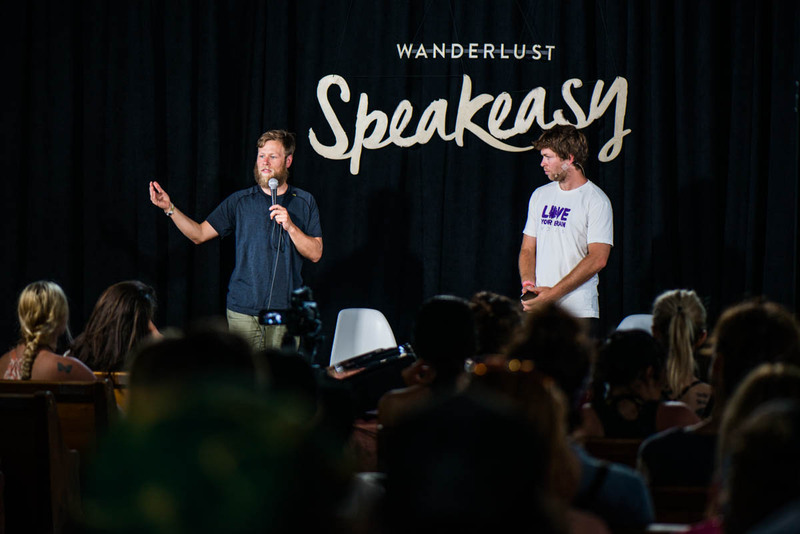 Thanks to lululemon athletica, Kevin was invited to host a Speakeasy at Wanderlust Stratton on June 20th. 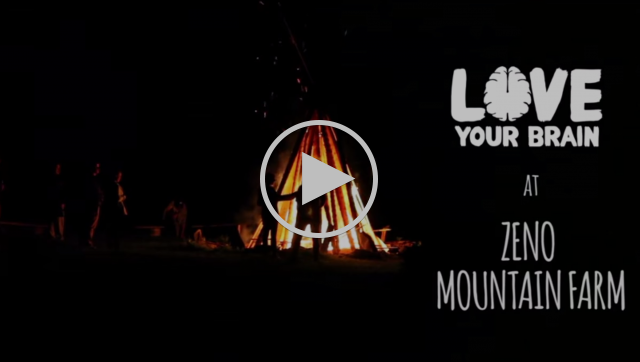 Having grown up riding at Stratton Mountain, this event held special significance to him. 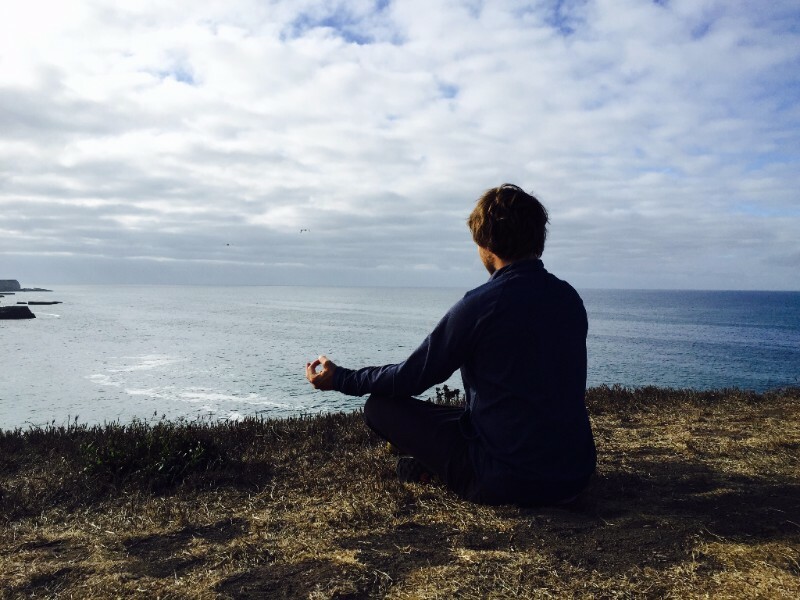 Kevin shared how yoga has become an integral part of his recovery, and what he does on a daily basis to retrain his thought patterns and eliminate the ANTs - automatic, negative thoughts. The mission of Wanderlust is to help people cultivate their best self; to gather experts, practices, and recipes for living that guide people along the journey toward a mindful and inspired life. 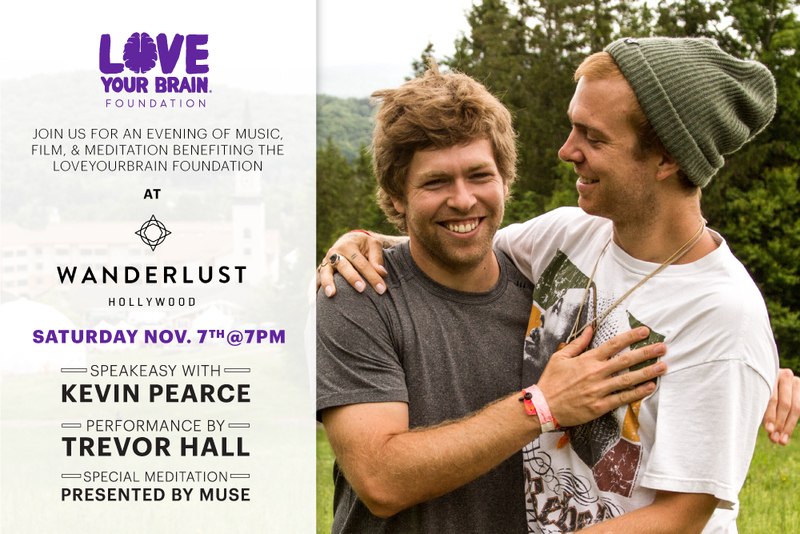 Kevin and the LoveYourBrain family are honored to have been a part of this. 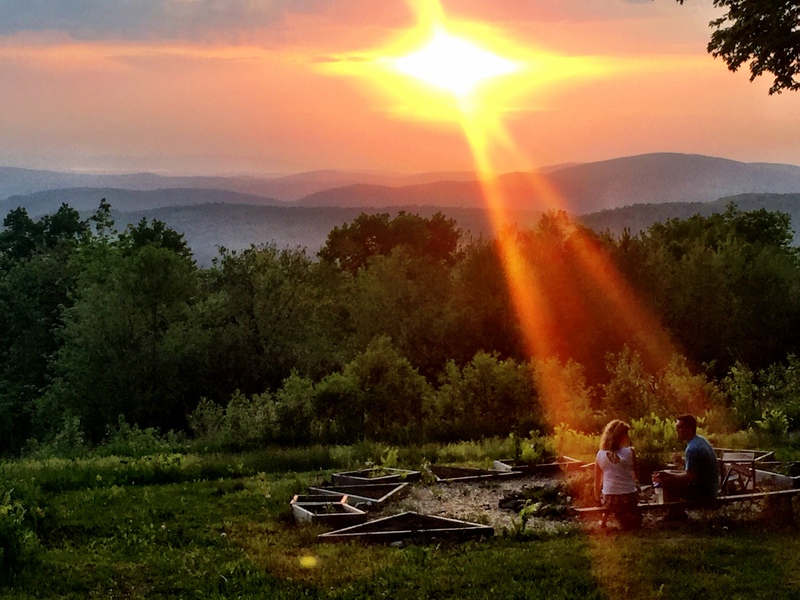 After a weekend of Wanderlusting, the LoveYourBrain family attended the 5th annual Frendly Gathering at Timber Ridge Mountain in Windham, Vermont. 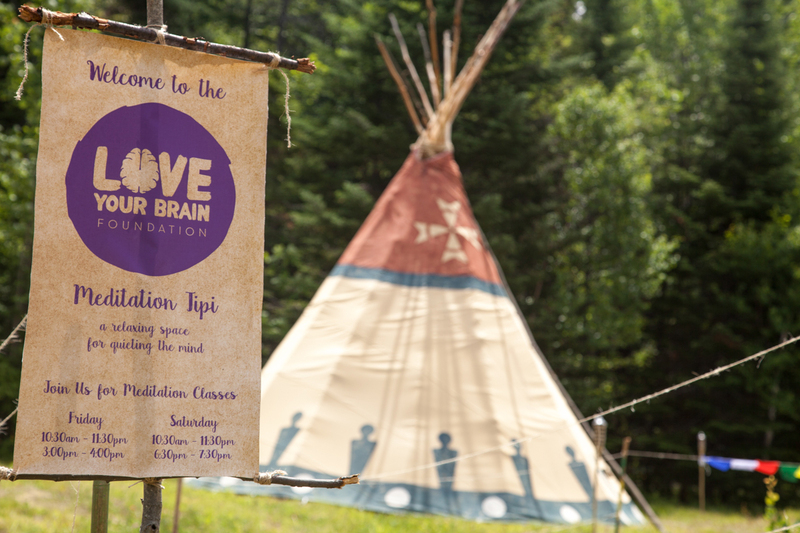 We welcomed festival-goers to join us in the LoveYourBrain teepee for daily meditation and yoga classes, and provided a peaceful space for people to come and quiet their minds amidst the chaos of the festival. Namaste to Malaika DosRemedios and Be Shakti for teaching beautiful classes, and thank you to lululemon athletica and Deep River Snacks for helping create this magical space. The LoveYourBrain family is growing, and we couldn't be more excited to welcome Kim Baker to the team! 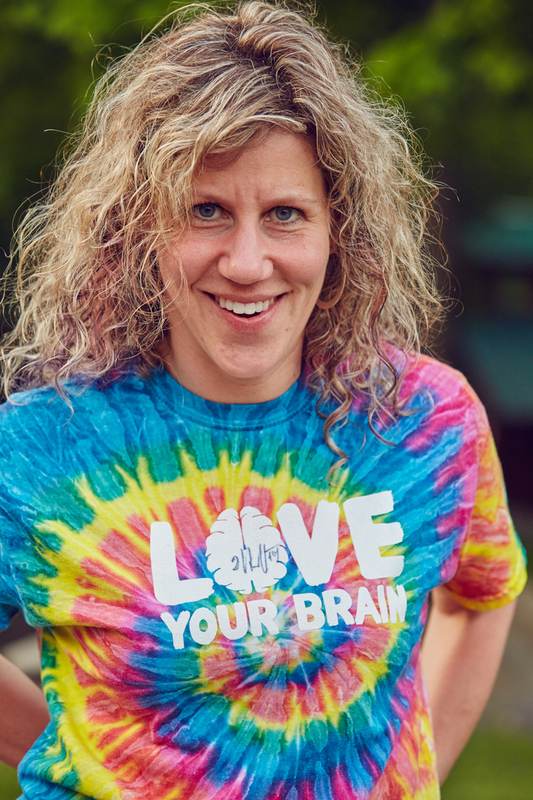 Kim is joining us as the Director of the LoveYourBrain Yoga & Meditation Program, and will be integral in helping us launch our flagship program, providing brain injury survivors a pathway to improve their quality of life. 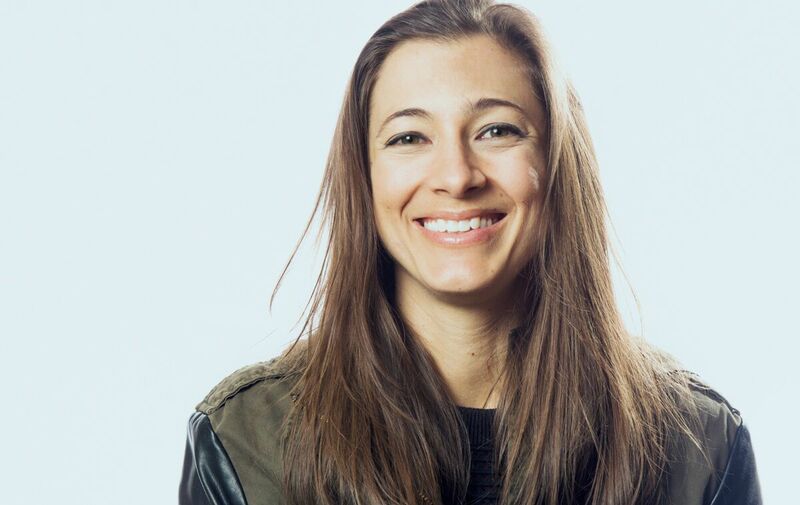 Most recently, Kim held a leadership role with lululemon athletica. She also brings several years of experience working for various nonprofit organizations and the United Nations, as well as an MPA in nonprofit management from NYU. Kim is committed to helping others love their brain through yoga and meditation, and with her addition to the team, we are eager to grow our program and impact a larger community. 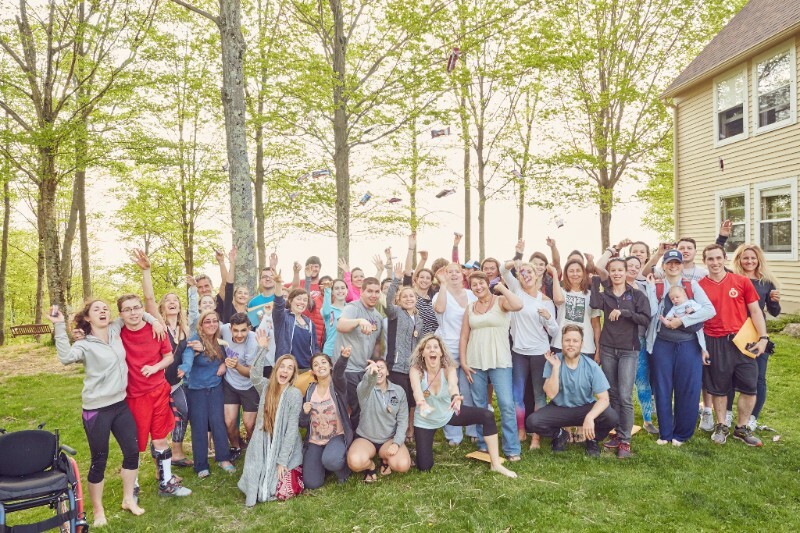 On May 19th, 40 brain injury survivors, primary caregivers, and members of the LYB family convened for the second annual LoveYourBrain retreat at Zeno Mountain Farm. 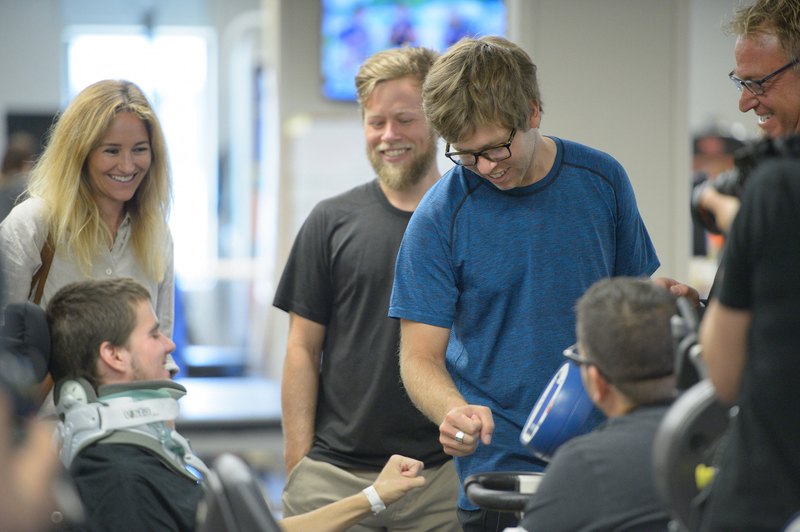 For six days, this community shared their personal experiences with brain injury, techniques to help them thrive, laughter, tears, songs and brain-healthy meals. The week culminated in everyone running the Vermont City Marathon in Burlington, raising spirits and funds to support the LoveYourBrain and Zeno communities. Thanks to art therapist Carolyn Crottyn at Whirled Tree Arts, we created and decorated masks over three days. This allowed us to explore the "masks" we all use to cope with daily life and unearth some of the strengths and vulnerabilities of our own deeper selves. Camp had a big focus on brain rejuvenating food. At each meal, we explained why we used the specific ingredients and encouraged people to try new things. 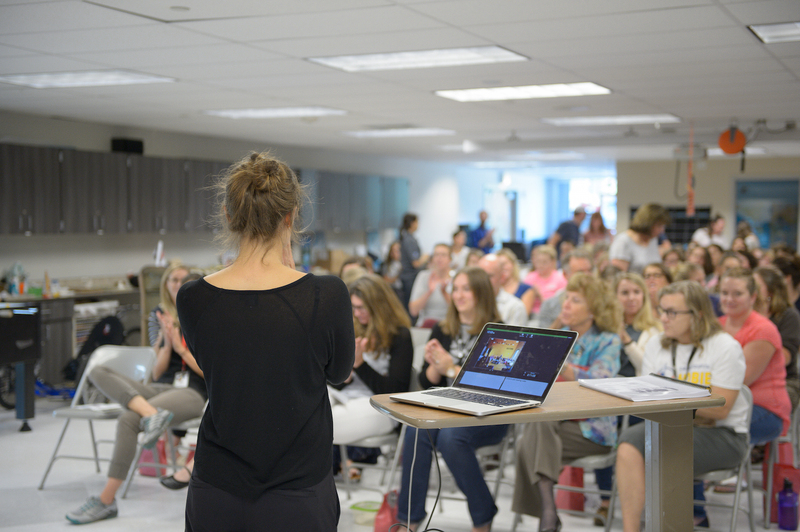 We also held a silent breakfast to introduce everyone to the process of eating mindfully. 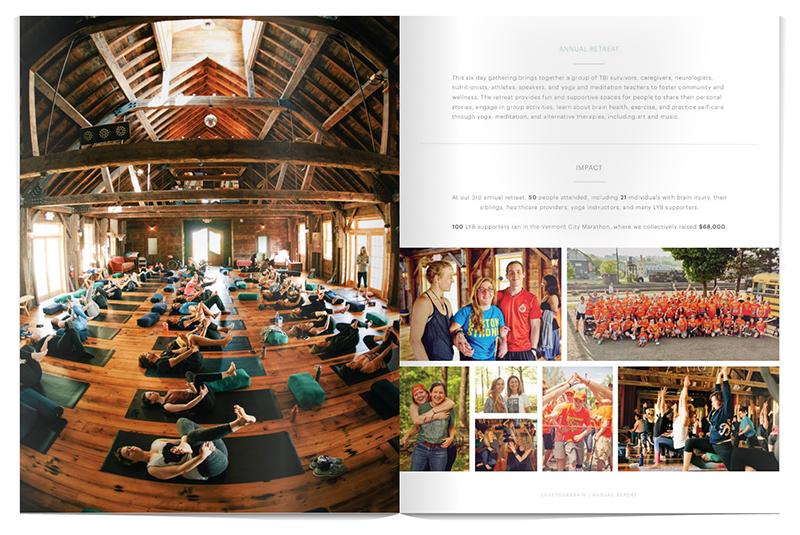 Everyone left camp with a cookbook of healthy recipes to continue nourishing their minds and bodies throughout the year. Each morning, we held yoga and meditation classes to start the day with greater mindfulness, calm, and a sense of empowerment. 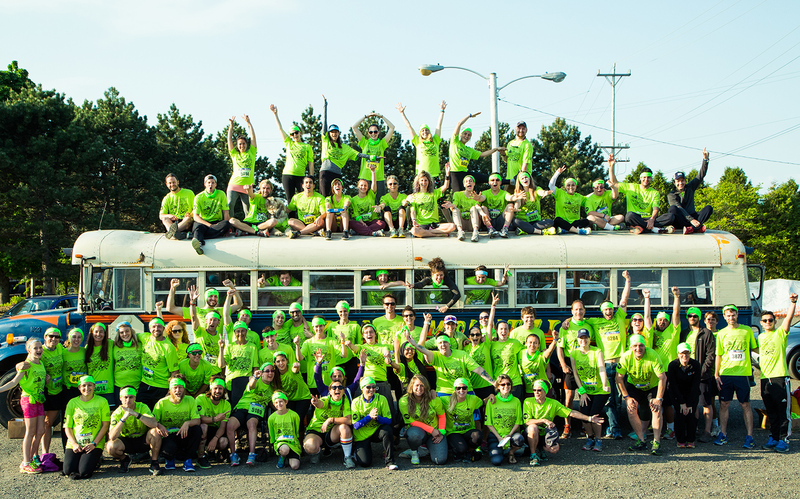 Congrats to the 93 individuals who collectively made up Team Brainfarmer and who all together ran over 700 miles in the marathon raising over $62,000 for the two partner organizations. Running in relay teams, pairs, and solo, the survivors, caregivers and family of supporters sported limegreen shirts and were cheered on by the entire Burlington community. Thank you to the over 700 donors who helped make this event such a success. It was an epic day, and we'll see you next year. Most importantly, throughout the week, survivors and caregivers together with the LoveYourBrain family were able to cultivate a community of like-minded individuals, where everyone felt accepted and embraced no matter their differences. 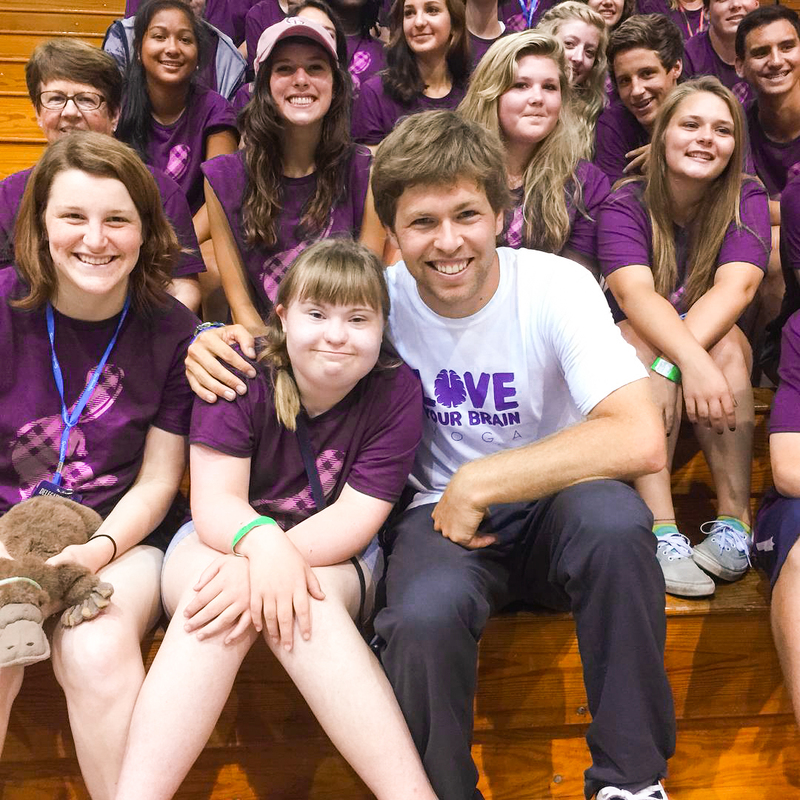 LoveYourBrain works with the dream of creating a larger community around the country and abroad where survivors, caregivers and everyone can feel accepted. 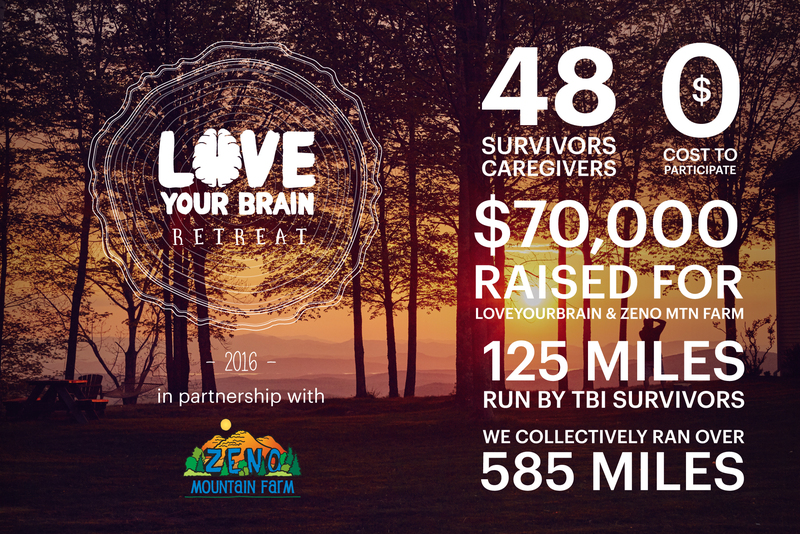 LoveYourBrain and Zeno Mountain Farm unite for the second year to make LoveYourBrain Camp a reality. In a few weeks we will unite over 40 survivors, primary caregivers, healthcare and rehabilitation professionals for a week of learning, shared experiences and bonding. 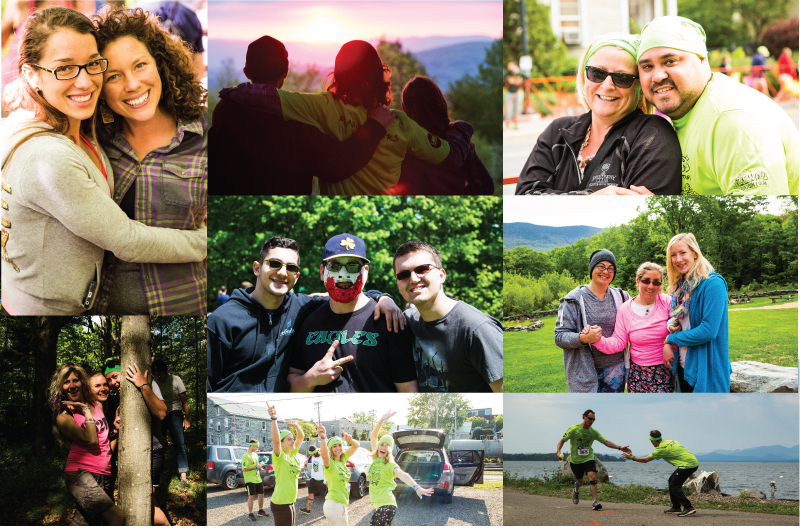 On Sunday the 24th all participants will come together with a wider community of supporters who will run as relay teams in the Vermont City Marathon, raising funds to support both organizations. 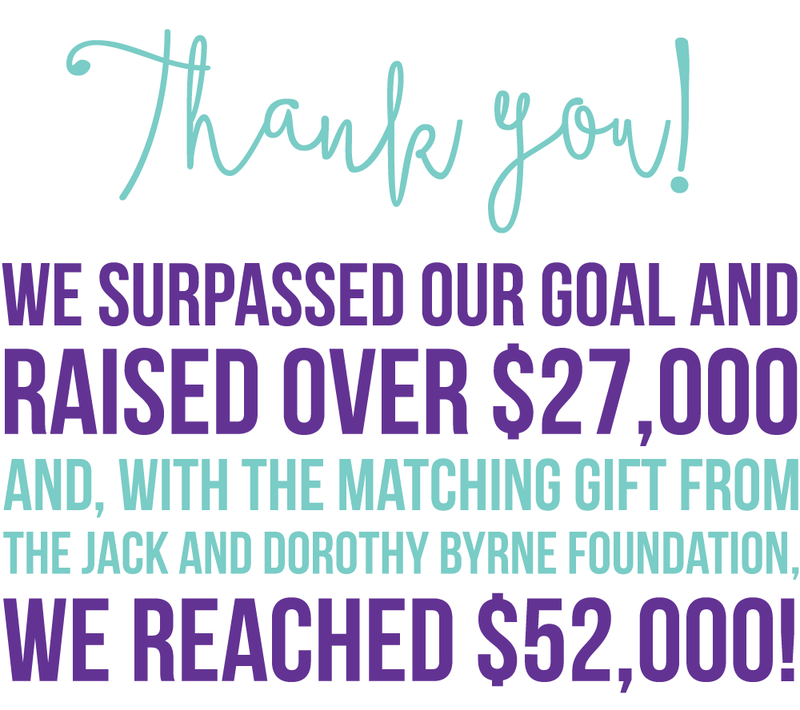 With less than a month to go, we have just surpassed the $20,000 mark in the collective fundraising efforts of our participants which include survivors, primary caregivers and friends of both charities. 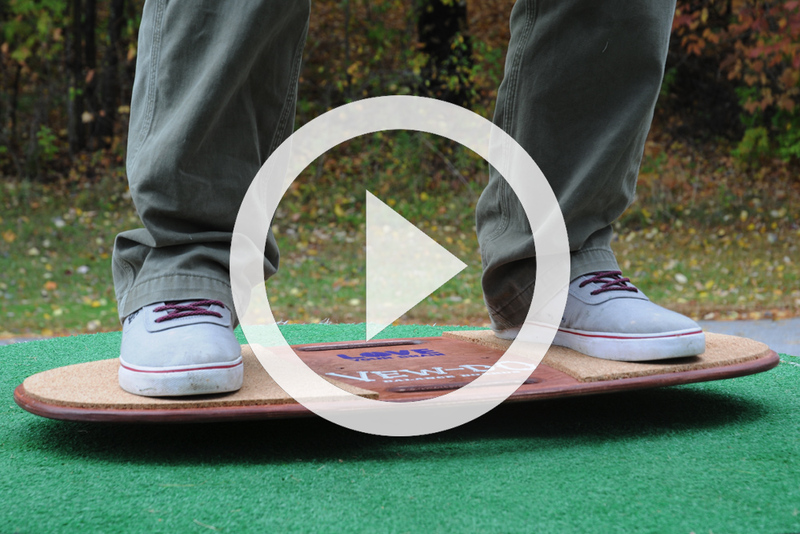 We still have a long way to go to reach our goal of $80,000. Within the last few weeks the survivors who are joining us for camp have collectively raised over $3,500 of their $10,000 goal. 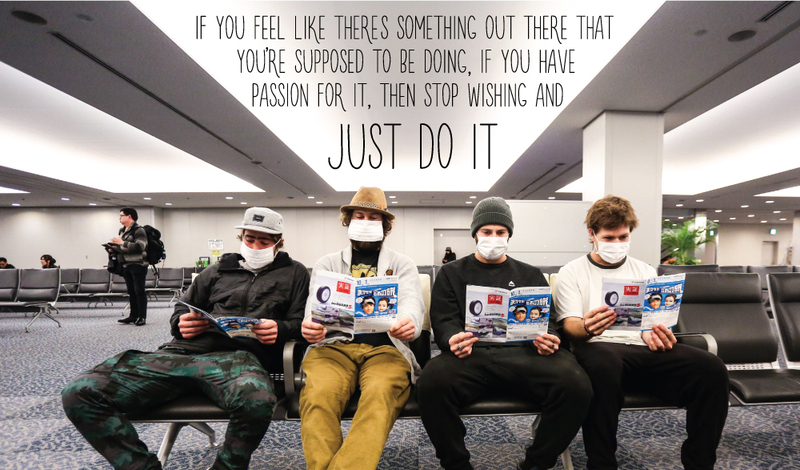 But they can’t do it alone, and every little bit counts. Please consider supporting any runner in the marathon by visiting the team page. 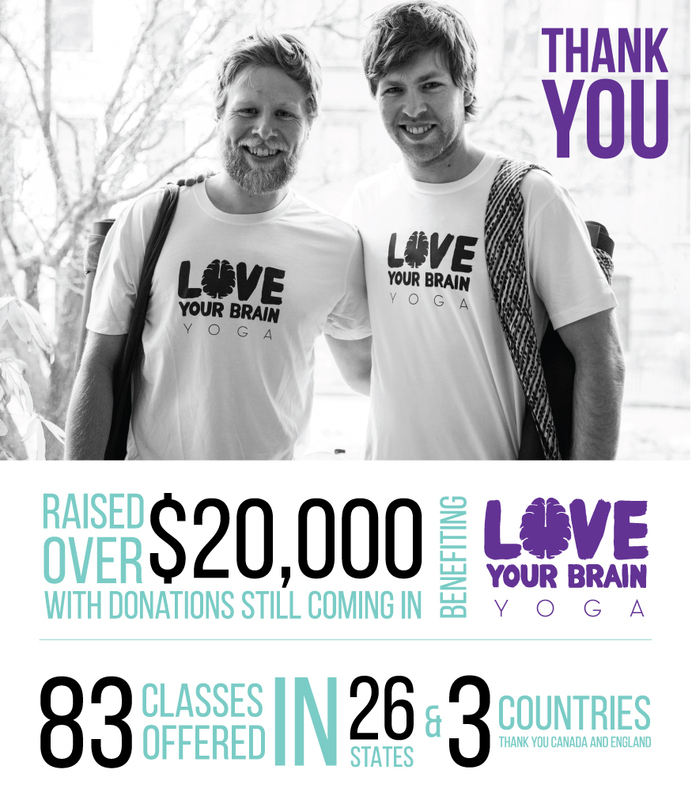 Thanks to all of our supporters and fellow yogis--you all helped make Brain Injury Awareness Month a huge success for LoveYourBrain. 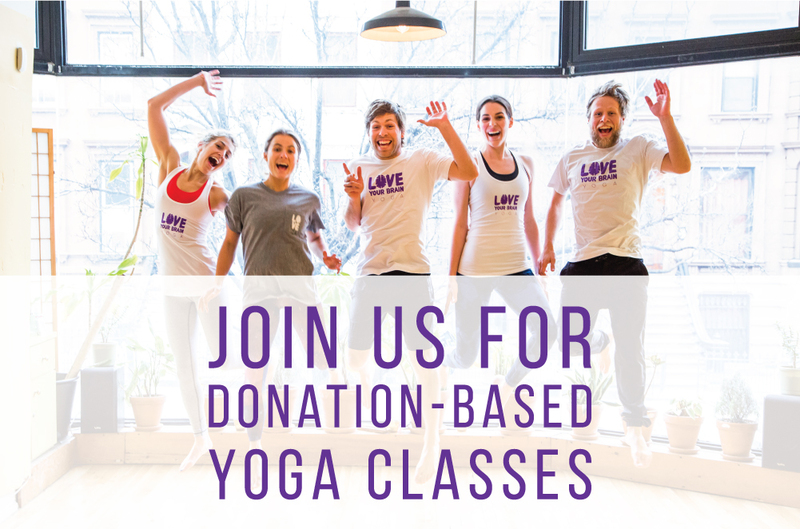 As many of you know, we launched our first-ever national yoga fundraiser to raise awareness about brain injury and to support our LoveYourBrain Yoga and Meditation Program for brain injury survivors. We set our goals high, hoping to partner with 50 studios representing each state to offer donation-based classes in honor of our cause. Thanks to all of you, old friends and new, we surpassed that goal, reaching over 800 new people through 61 studios in the United States and three abroad. 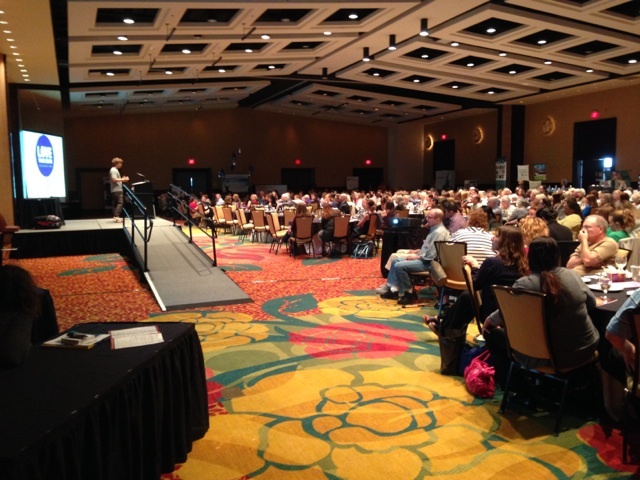 We were able to bring the topic of brain injury and the healing power of yoga and meditation to over 60 new settings. This has fostered a new community of engaged individuals who are now familiar with LoveYourBrain’s work and better understand the potential for yoga and meditation to transform the wellbeing of brain injury survivors. 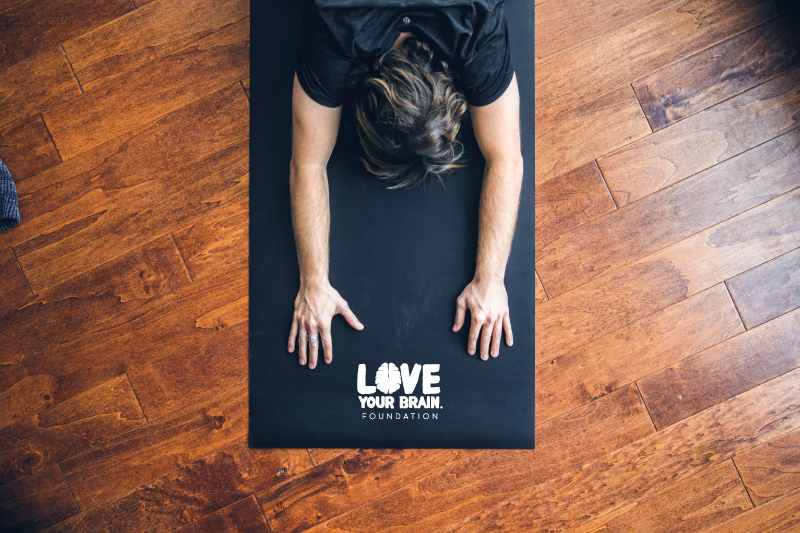 We have expanded and deepened the roots of our LYB family and demonstrated that brain healthy practices like yoga and meditation are powerful ways to connect us all. The money we have raised will help us roll-out yoga teacher training workshops for our program across the country. 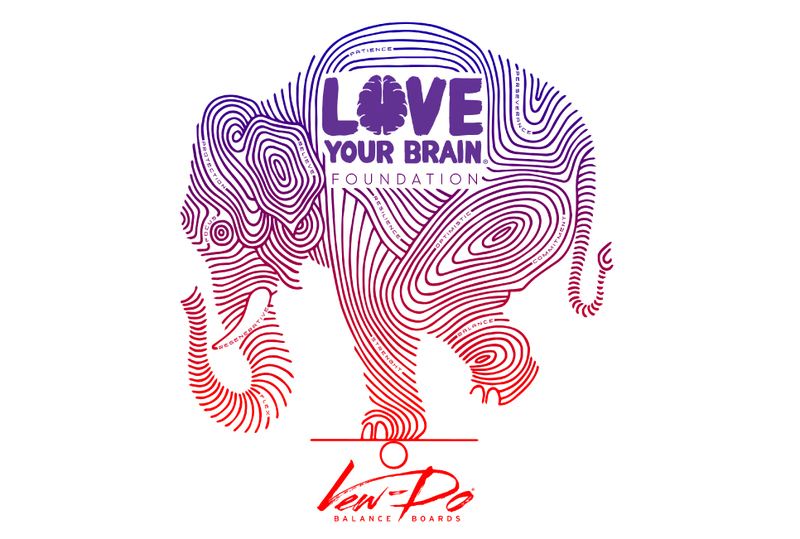 The LoveYourBrain Foundation is excited to announce that--in honor of Brain Injury Awareness month in March--we will be leading a national yoga and meditation fundraising campaign. 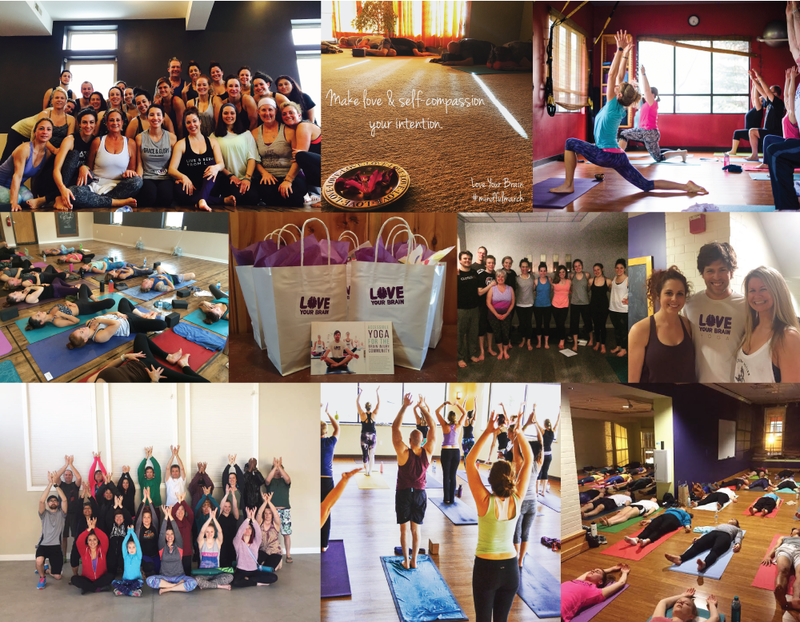 During Brain Injury Awareness month, LoveYourBrain aims to partner with at least one yoga studio in every state throughout the US to offer a donation-based class. 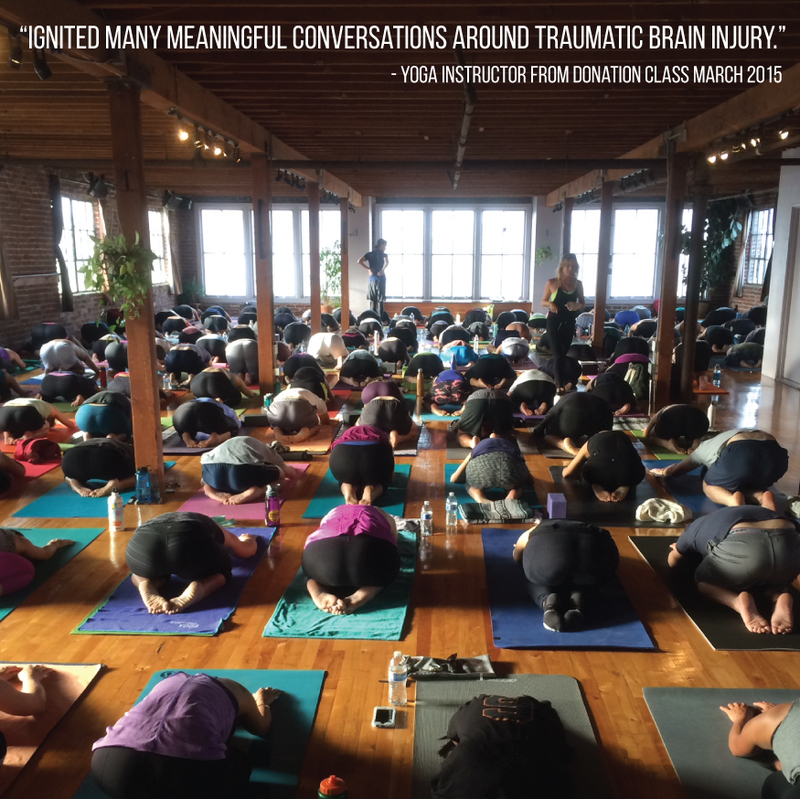 Through this campaign and our yoga program, we hope to begin to shift the culture around TBI recovery to build a community that supports healthier, happier lives for those affected by TBI. 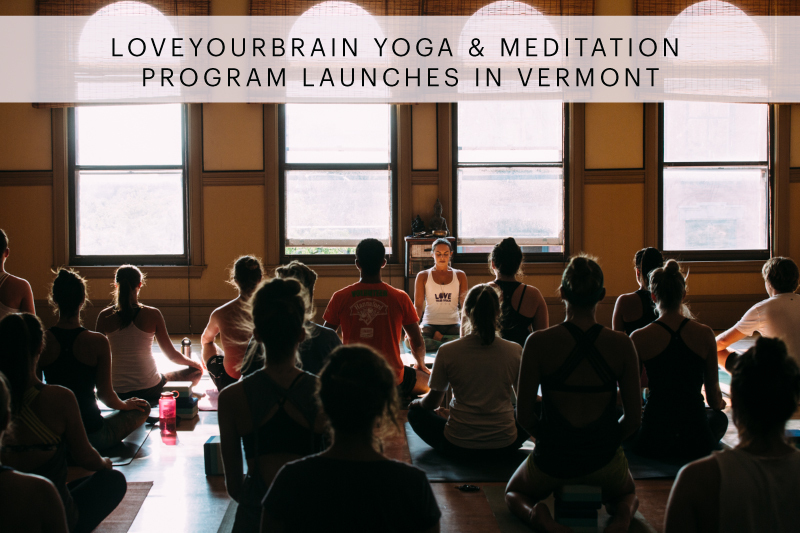 Every dollar raised will help grow the LoveYourBrain Yoga Program, which supports TBI survivors to participate in affordable yoga and meditation classes tailored to their needs. This program builds off of the success of our two month gentle yoga pilot program that was evaluated by Dartmouth College (check out the text box below). There is increasing recognition of the positive physical and emotional effects of yoga and meditation, particularly through fostering better mind-body connection. We are grateful for the support of the yoga studios who have already signed up, to Christian for helping us spread the word, and to lululemon athletica. 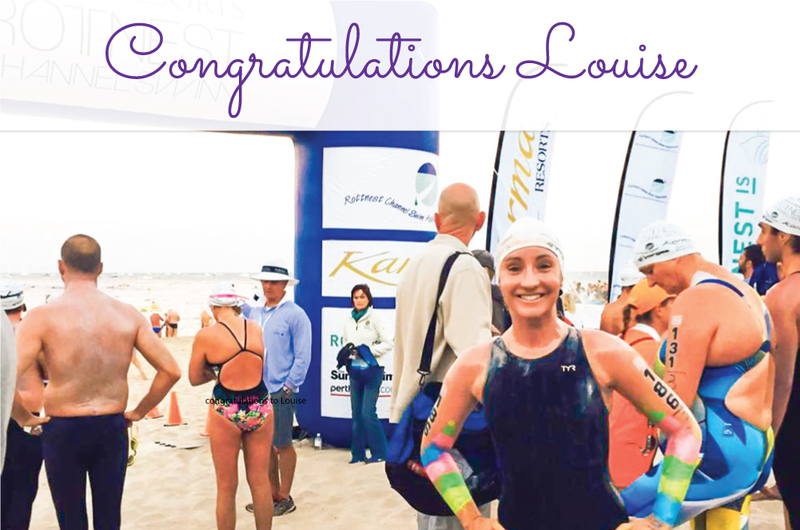 A special congratulations to Louise Fisher who has completed her campaign by competing in a true test of endurance: the Rotternest Channel Swim in Perth, Australia. This past weekend, Louise swam 19.7 kilometers in 8 hours and 02 minutes in the worst conditions seen over the past 10 years. We are honored and truly humbled by her efforts and dedication to our cause. You can now find LoveYourBrain on Amazon Smile. When you register LoveYourBrain as your charity, 0.5% of the purchase price of eligible products will go to support our programing.